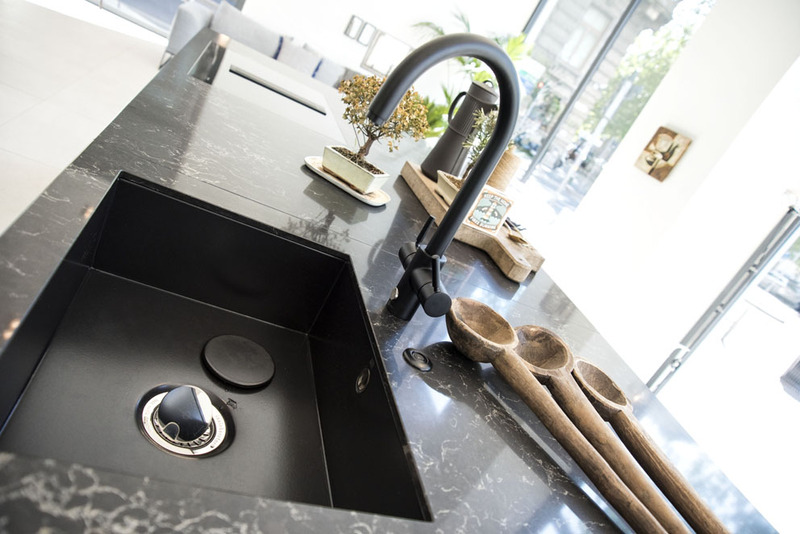 The US brand illustrated at the Poggenpohl showroom in Milan the characteristics of the new mixer that can instantly offer cold, boiling and filtered water. 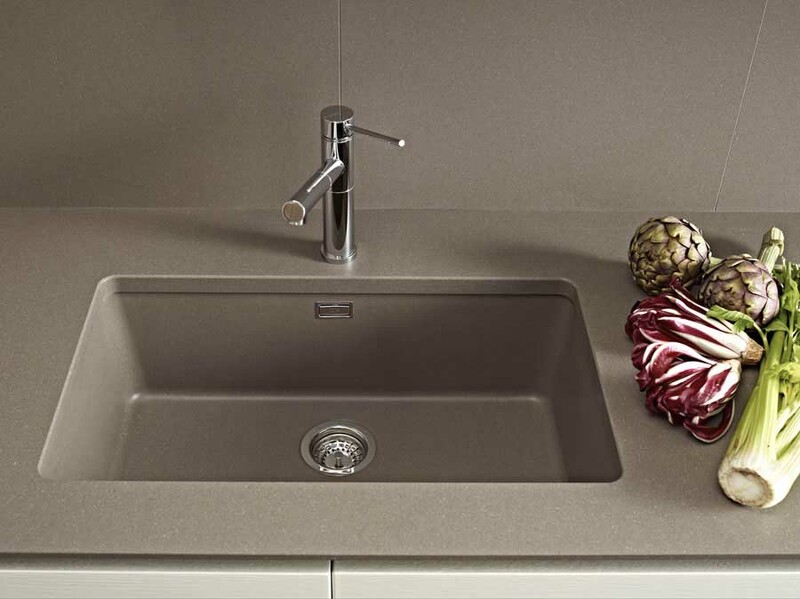 Franke has proposed to Eurocucina 2018 a new and exclusive collection of super metallic colours for its Fragranite sinks. 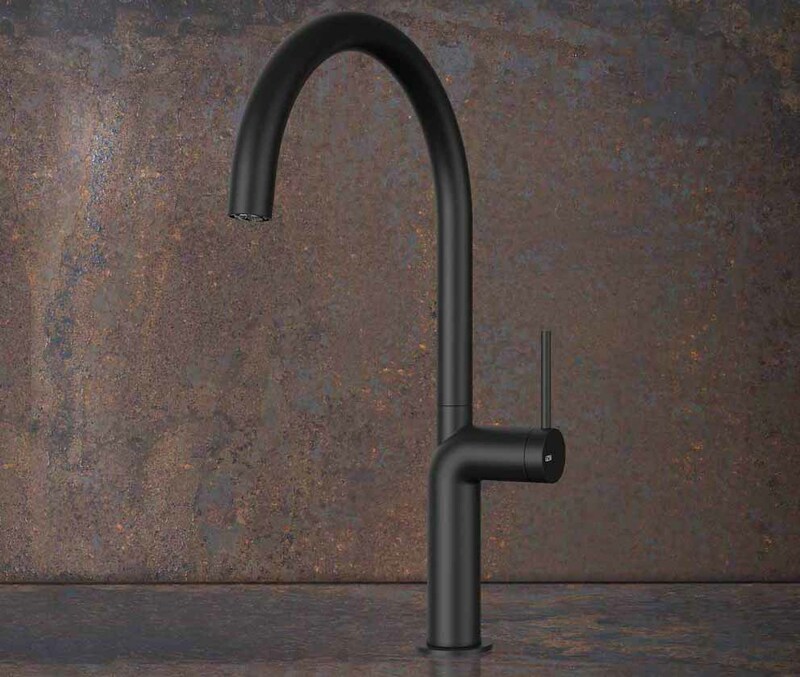 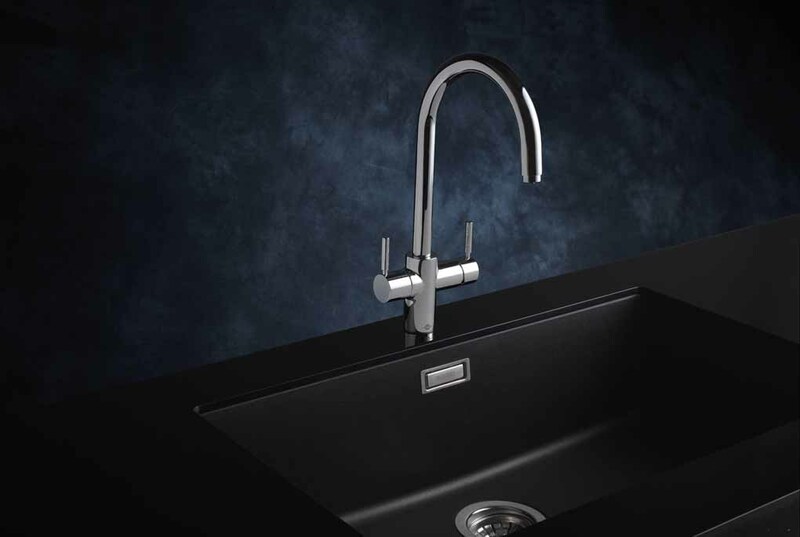 Galileo, the new kitchen mixer tap with a strong aesthetic appeal that ensures efficiency and comfort, designed by Bertone Design for Fima Carlo Frattini. 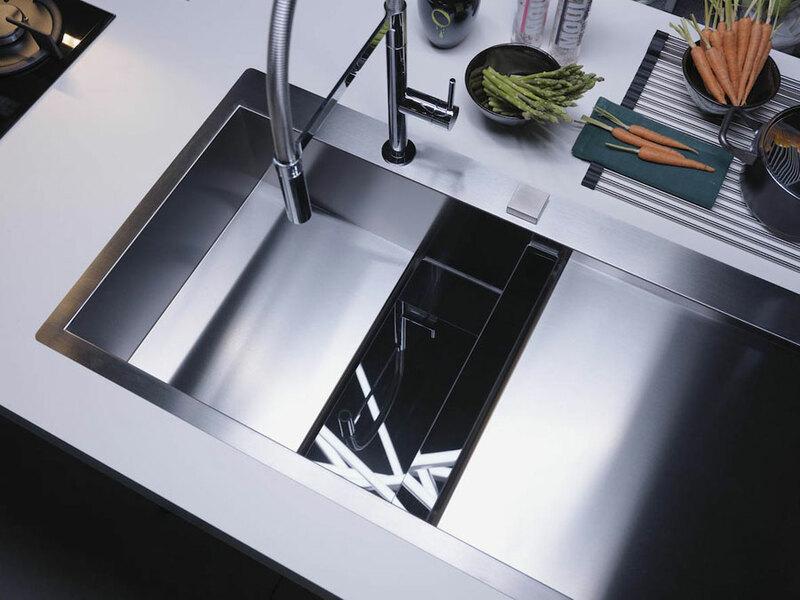 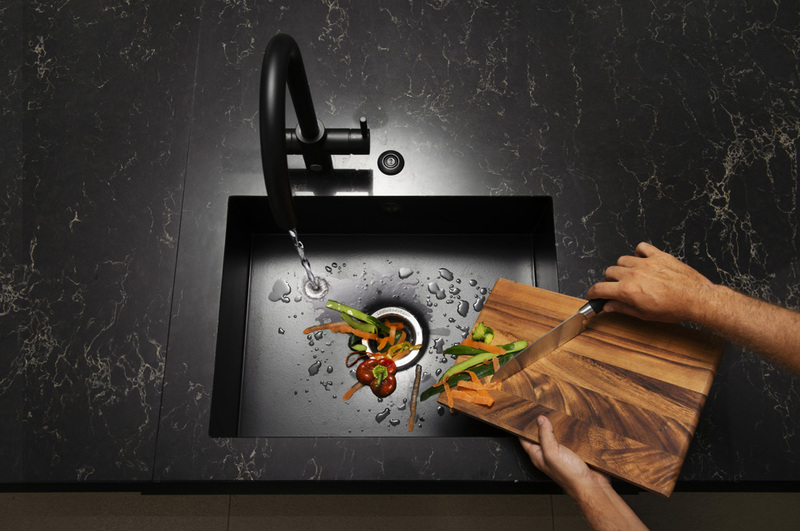 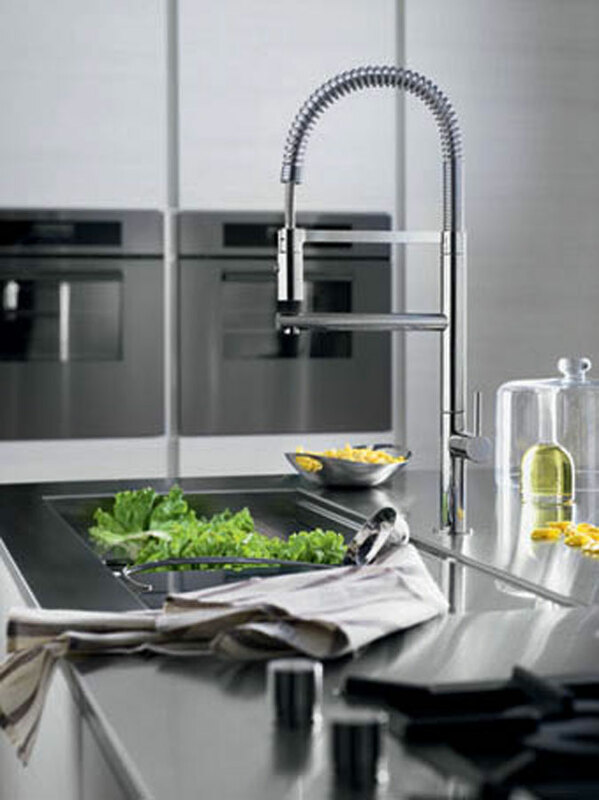 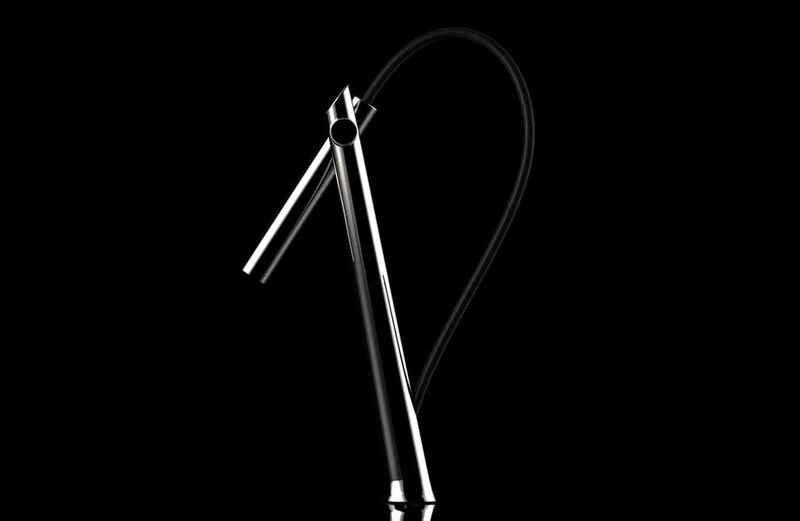 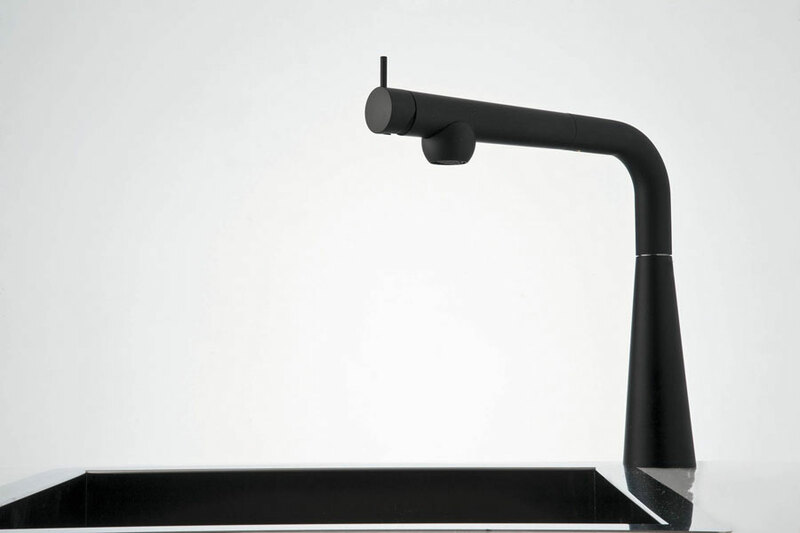 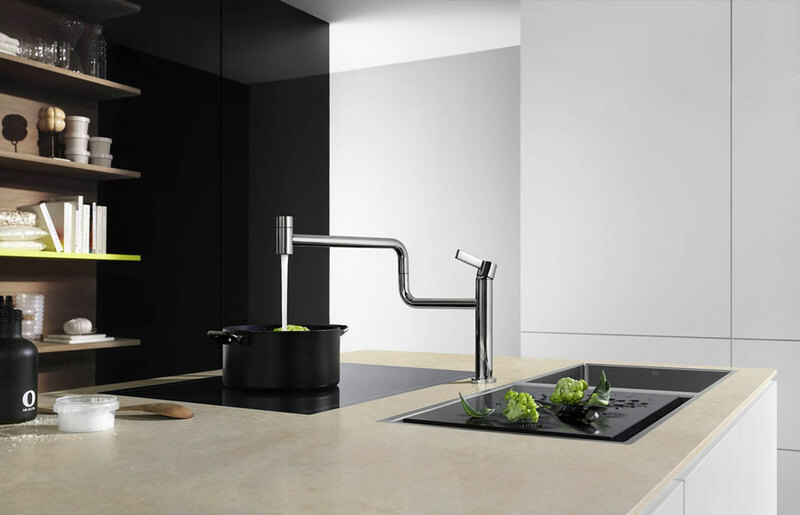 InSinkErator presents the sink-mixer J-Shape, characterized by smooth lines, elegant finishes and a purely italian design. 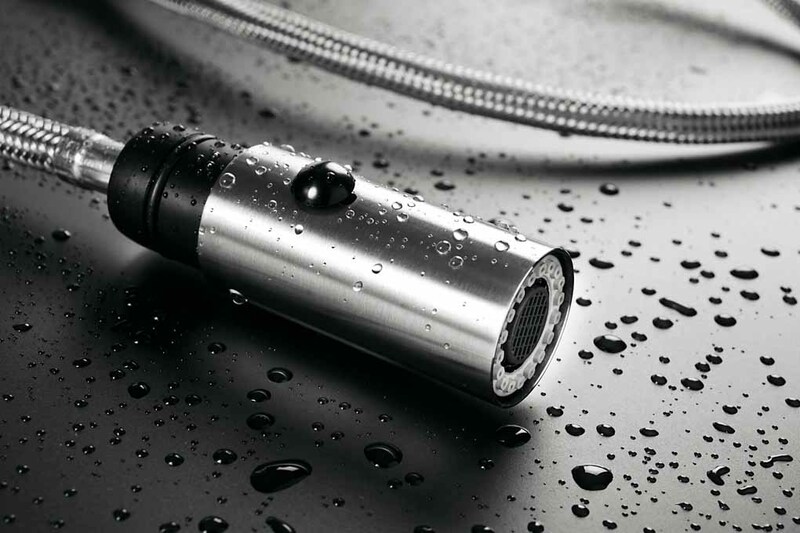 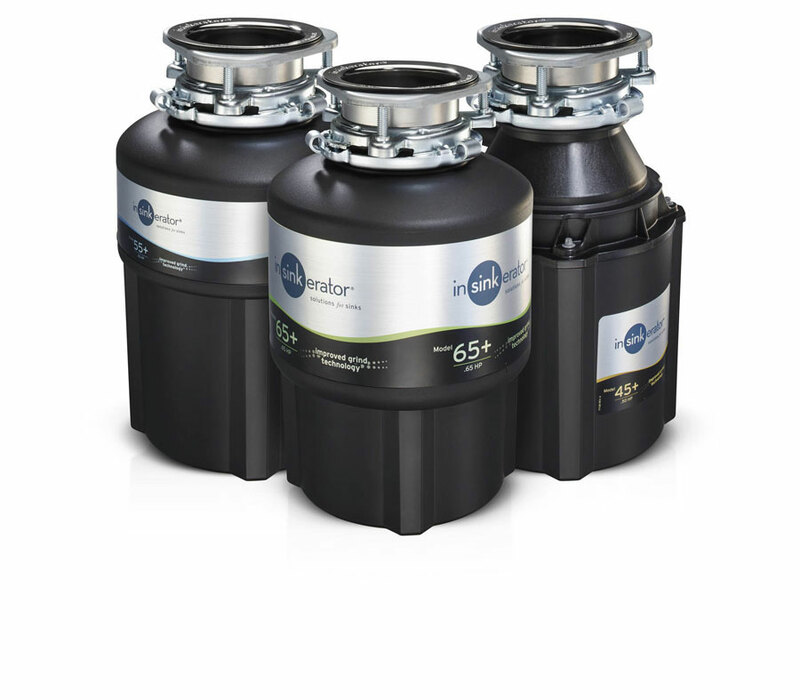 Thanks to its technology, the regulator is able to offer promptly hot and purified water. 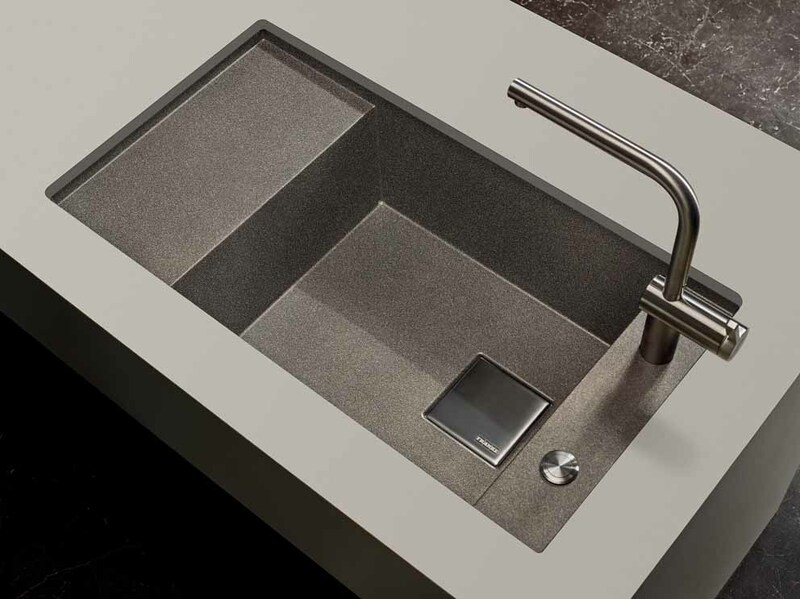 This section will present the technological innovations of the best manufacturers of sinks and faucets used in furnishing the kitchen and bathroom. 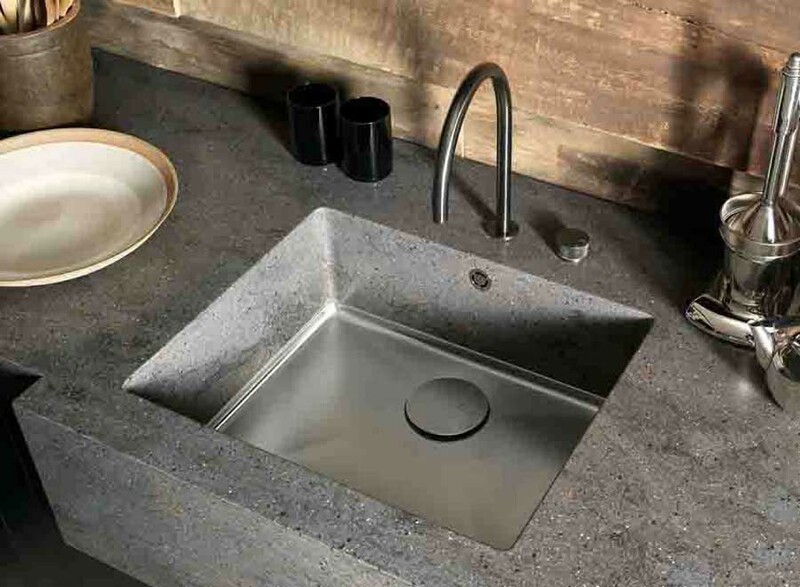 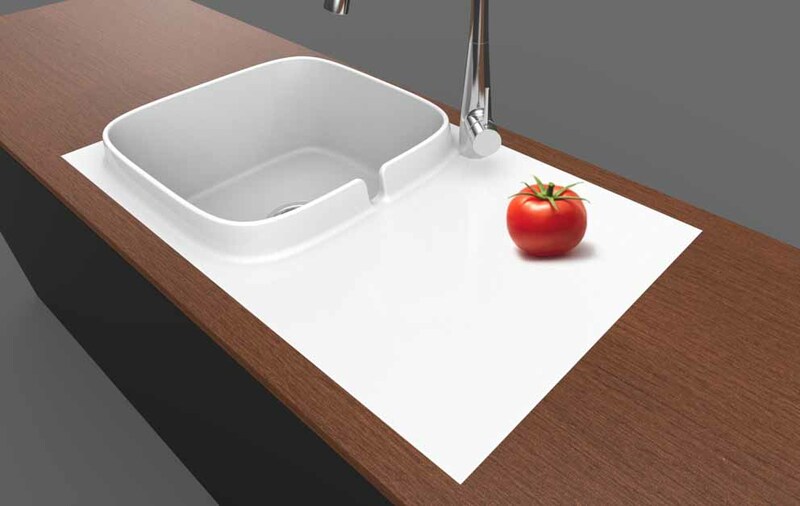 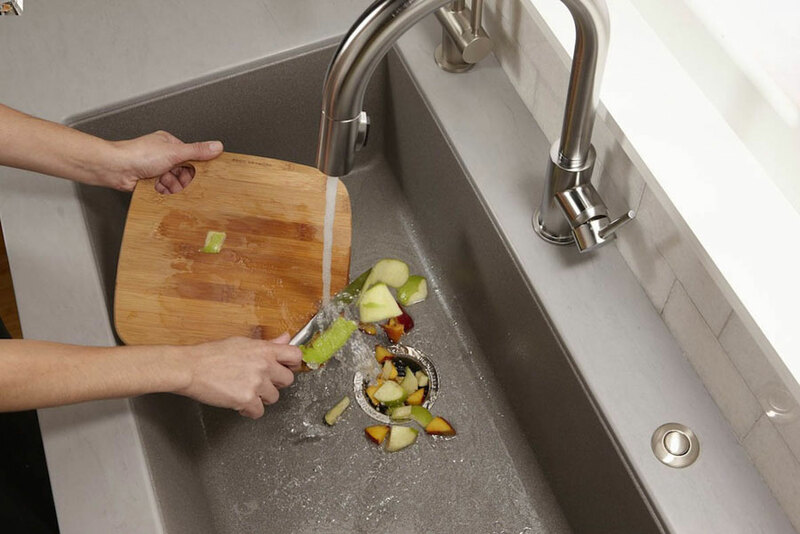 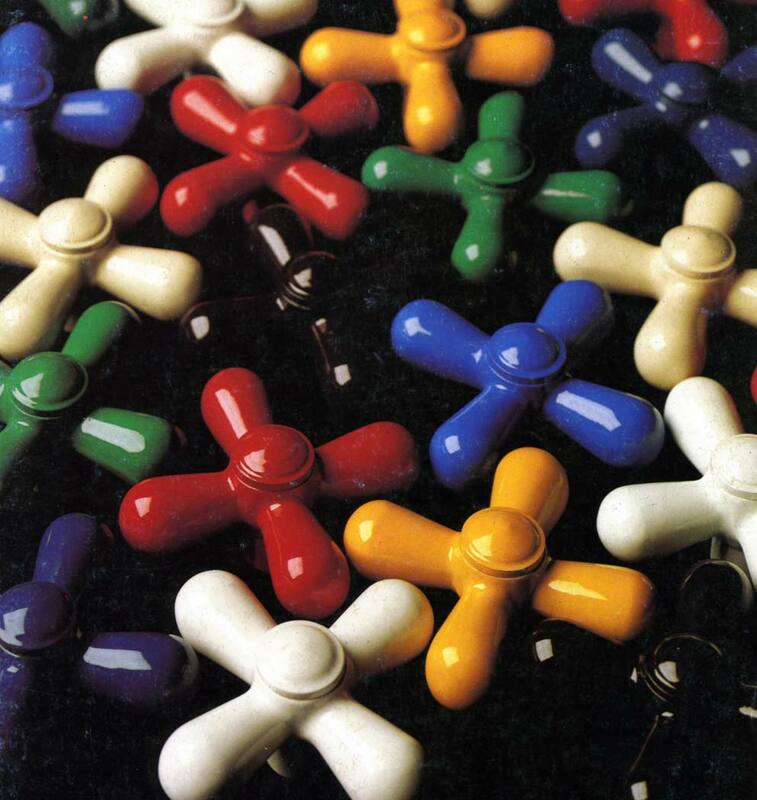 The different types of sinks differ from each other for material, design and type of installation. 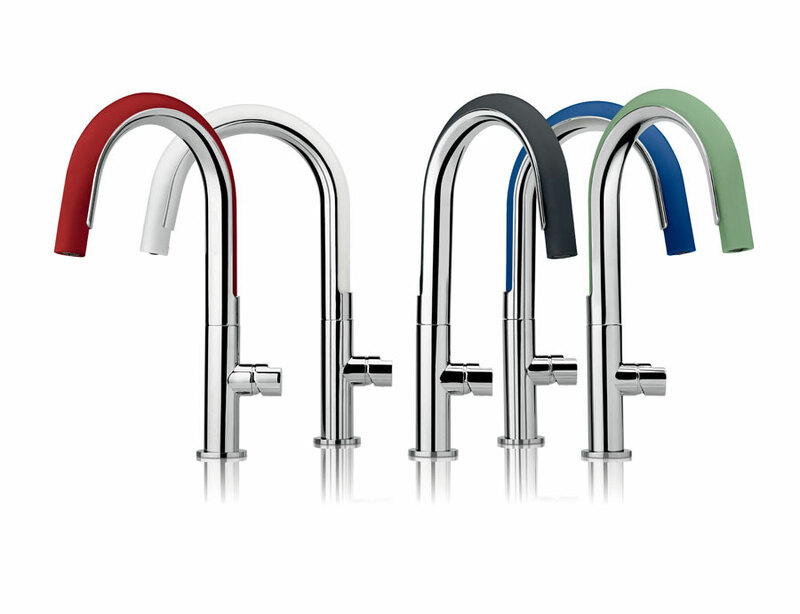 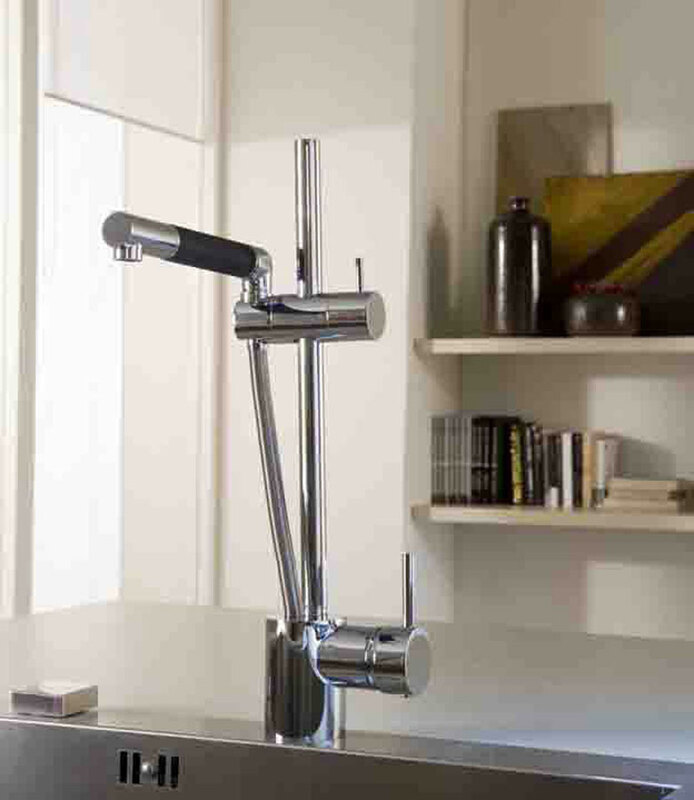 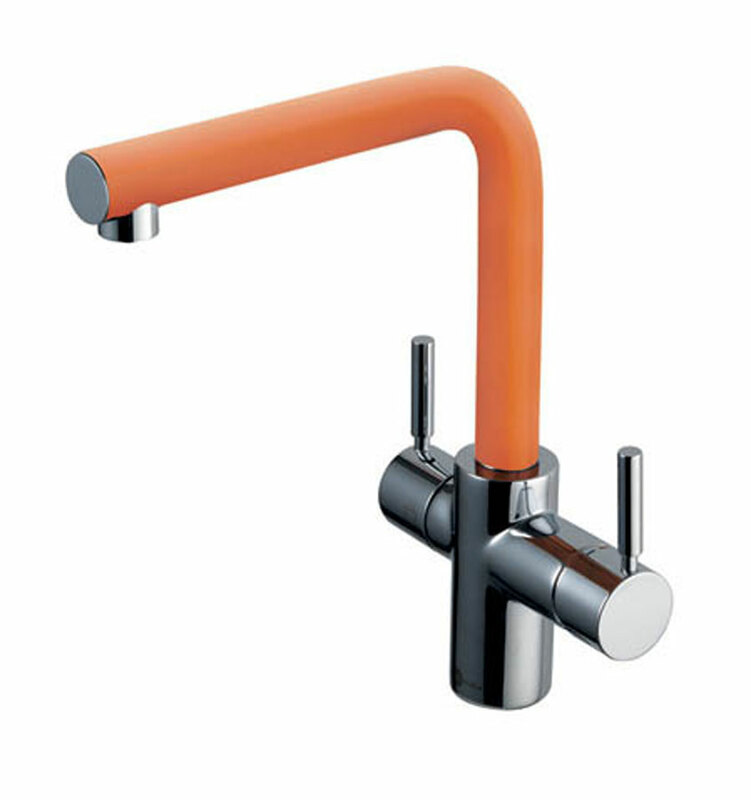 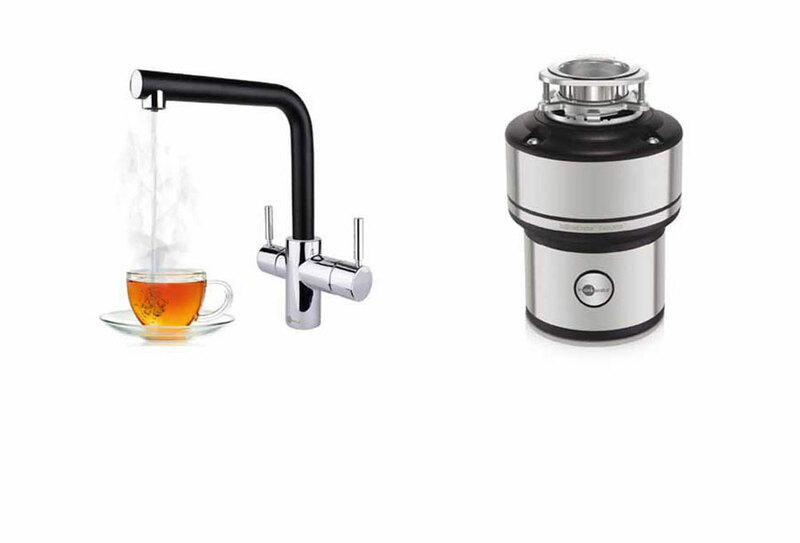 The taps and mixers differ in design and mode of water delivery. 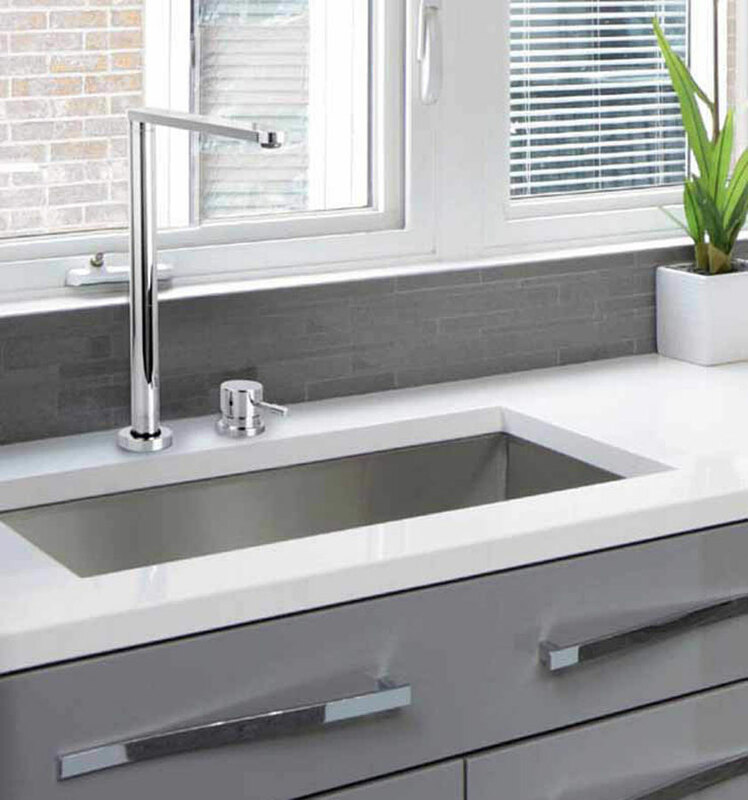 You'll find the best manufacturers of sinks and faucets and you can view the products and catalogs, if necessary you can contact directly with the manufacturer through the contact form.